The Affordable Care Act (ACA) has been a source of intense controversy since long before it was signed into law. Its contraceptive services mandate is a particularly popular litigation topic. As the Supreme Court prepares to hear Zubik v. Burwell this March, it’s unclear whether the agencies responsible for administering the ACA will be able to continue crafting accommodations to the mandate, at least for those employers that continue to raise objections. Even after the ruling in Burwell v. Hobby Lobby, the cases have generally not resulted in employees and their dependents actually losing contraceptive coverage, but it seems less clear that this trend will continue. Laurie Sobel and Alina Salganicoff of the Kaiser Family Foundation have a more comprehensive explanation of the issues involved, but to summarize, houses of worship are exempt from the ACA’s mandate that insurance coverage for employees and their defendants include all FDA-approved forms of contraception at no cost. This is a fairly narrow exception. For other employers, like religiously affiliated nonprofits or closely-held corporations which profess religious objection to some or all contraception, their health insurers or third party administrators (TPAs) of self-insured plans have to cover the contraception and provide it directly to the beneficiaries. Initially, after religiously affiliated employers objected to the contraceptive services mandate, the administration developed regulations that allowed the employers to trigger the “accommodation” by completing form Employee Benefit Security Administration (EBSA) Form 700. The Form identifies the employer as having a religious objection to contraception, and is sent to the EBSA and the company’s benefits provider to notify them of their obligations under the law. In Burwell v. Hobby Lobby, the Supreme Court ruled that closely-held corporations with religious objections were eligible for that accommodation as well. Just a few days later, however, the Court issued an emergency injunction in Wheaton College v. Burwell, which ordered that Wheaton College did not have to use Form 700. The Court said that the Government could rely on the notice of religious objection that the College had provided to the Government directly, and the Government could then work with the benefits provider to ensure contraception coverage was available for beneficiaries of the College’s health plan. Justice Sotomayor issued a strongly worded dissent expressing a number of objections including to the Court’s proposed change to the process. With regard to the two-step process the Court suggested, Justice Sotomayor remarked “Surely the Court and Wheaton are not just objecting to the use of one stamp instead of two in order to avail itself of the accommodation.” The Justice also expressed incredulity that the Court would rewrite administrative regulations in this way, saying, “The Court’s approach imposes an unwarranted and unprecedented burden on the Government’s ability to administer an important regulatory scheme.” Following this decision, the agencies amended the accommodation as the Court directed. The new process allows employers to complete Form 700, or to notify the Department of Health and Human Services (HHS) directly about their objection, the plan name and type, and the name and contact information for the employers’ insurers or TPAs. Though as we saw in Wheaton College the court seems confident in the agencies’ ability to design ever less-burdensome accommodations, it seems possible that we’ve reached the end of the attenuated accommodation of religious beliefs without running into additional legal problems. Sobel and Salganicoff say that in Zubik v. Burwell, in addition to the compelling government interest and substantial religious burden issues, the Court will have to address “whether there is a less restrictive way of achieving the same goal of allowing women coverage for all FDA-approved contraceptive methods without cost-sharing.” Maybe three stamps will do the trick, but it seems unlikely. Needless to say, this will be difficult. Even assuming that HHS may be able to track down the employer’s insurer or third-party administrator within the variety of filings it may have access to — such as tax filings to the IRS or ERISA filings to the Department of Labor — it remains unclear that detective work will be enough. Justice Sotomayor notes this in her Wheaton College dissent: “If the Government cannot require organization to attest to their views . . . how can it ever identify the organizations eligible for the accommodation and perform the administrative tasks necessary to make the accommodation work?” Further, the administration has required essentially the identical information on Form 700 be provided in the alternative notification to HHS, which seems to show they can’t easily identify the insurer options the employers give their employees. Professor Jost explains that employers with more than 100 employees have to file ERISA Form 5500 identifying any insurers that cover their employees. So that is one way the Government could access the information. However, the form does not require identifying TPAs – so the Government could potentially alter the form to ask, but it’s not clear employers will comply. There may also be a fair number of objecting employers with fewer than 100 employees. Further, using government filings not explicitly related to contraception could lead to the objecting employers’ refusal to file that other document, potentially important to tax collection or another government function because of the perceived triggering of contraceptive coverage. Generally, the court has steered away from blocking delivery of the ACA’s benefits to average citizens (with the glaring exception of the Medicaid expansion), so it seems possible that as part of its ruling in Zubik the Court may direct HHS to play a new version of “guess the religious views and track down the insurer.”Though many leading commentators believe the Court will reach the merits this time, it’s possible we will see another incremental ruling and another set of suits based on the DOL’s ability to designate TPAs as plan administrators, or some entirely new issue raised by a still more attenuated accommodation. 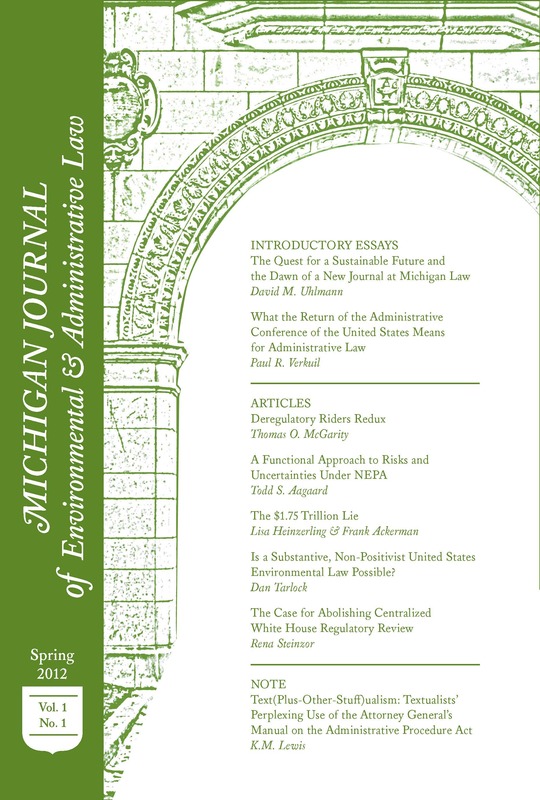 The views and opinions expressed in this blog are those of the authors only and do not reflect the official policy or position of the Michigan Journal of Environmental and Administrative Law or the University of Michigan.n. Laurie Sobel and Alina Salganicoff, Round 2 on the Legal Challenges to Contraceptive Coverage: Are Nonprofits “Substantially Burdened” by the “Accommodation”?, The Kaiser Family Foundation (November, 2015), http://kff.org/womens-health-policy/issue-brief/round-2-on-the-legal-challenges-to-contraceptive-coverage-are-nonprofits-substantially-burdened-by-the-accommodation/. Lyle Denniston, The legal fate of Obamacare: Round 4, SCOTUSblog (Dec. 11, 2015, 6:07 PM), http://www.scotusblog.com/2015/12/the-legal-fate-of-obamacare-round-4/. Burwell v. Hobby Lobby Stores, Inc., 143 S.Ct. 2751, 2782 (2014); 45 CFR § 147.131(b)(2)(ii); Sobel and Salganicoff, supra note 1. Timothy Jost, Implementing Health Reform: New Accommodations for Employers on Contraceptive Coverage, Health Affairs (August 22, 2014), http://healthaffairs.org/blog/2014/08/22/implementing-health-reform-new-accommodations-for-employers-on-contraceptive-coverage/. Sobel and Salganicoff, supra note 1. Marty Lederman, Commentary: Is the Court’s attempt at a compromise order in Wheaton College based upon a misunderstanding of the law?, SCOTUSblog (Jul. 4, 2014, 11:52 AM), http://www.scotusblog.com/2014/07/commentary-is-the-courts-attempt-at-a-compromise-order-in-wheaton-college-based-upon-a-misunderstanding-of-the-law/. Wheaton College v. Burwell, 134 S.Ct. 2806, 2807 (2014). 26 C.F.R. § 54.9815-2713A (2015); 29 C.F.R. § 2510.3-16 and § 2590.715-2713A (2015); 45 C.F.R. § 147.131 (2015). Wheaton College, 134 S.Ct. at 2814. Timothy Jost, Implementing Health Reform: A Follow-Up Supreme Court Contraceptives Decision At Odds With Hobby Lobby, Health Affairs (July 4, 2014),http://healthaffairs.org/blog/2014/07/04/implementing-health-reform-a-follow-up-supreme-court-contraceptives-decision-at-odds-with-hobby-lobby/.